Style, seating, and storage: Get them all in our modern, multi-functional storage benches (like our Slim cubby bench, featured above). All of our benches are artisan crafted from high-quality wood, steel, fabric or leather so you can have the style you love with the function you need. The best part? 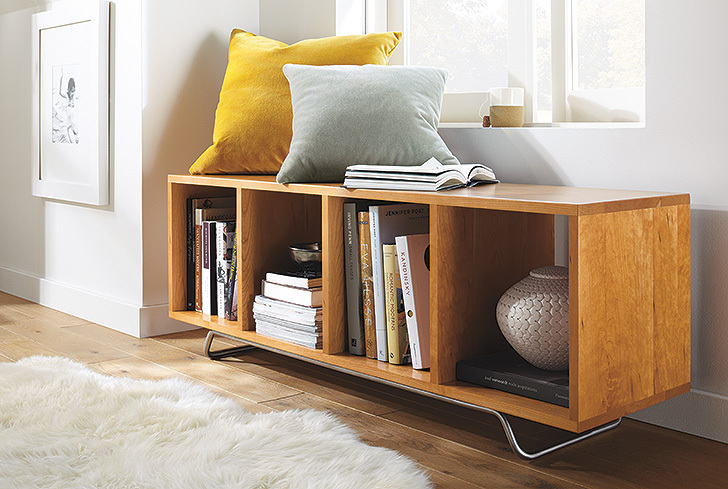 There isn’t a wrong spot in your home for a storage bench. Move them into the rooms or corners you need them most and enjoy the versatility they bring to your space. 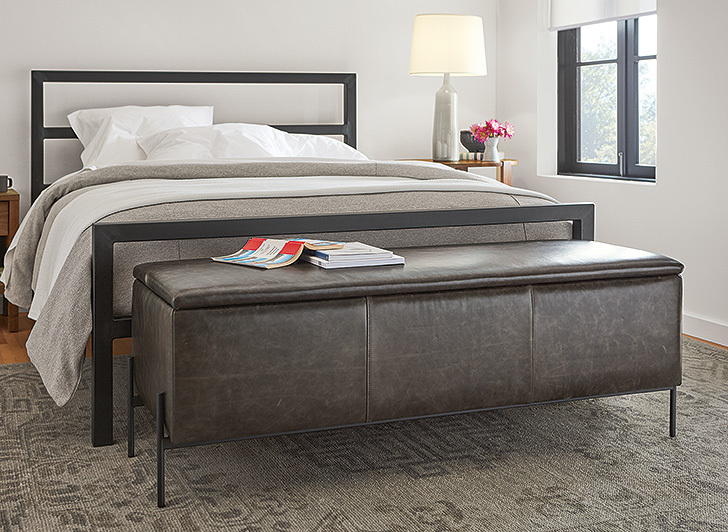 Our Paxton storage ottoman offers a versatile seating and style solution that also offers ample storage. Soft corners and a cleanly designed graphite or stainless steel base give it a modern flair. Plus, it’s available in two sizes and in fabric or leather. 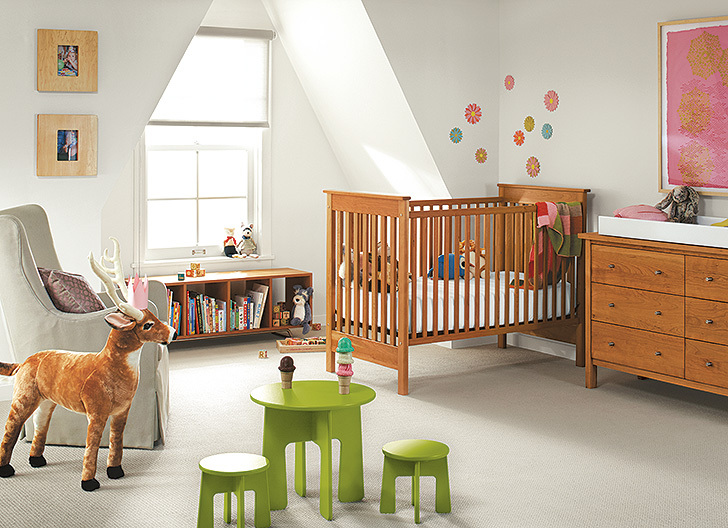 Storage and seating beautifully combine in the Ferris cubby bench. The compartments can hold baskets to contain clutter or keep shoes off the floor. The solid wood frame is attached to a modern steel base. Beautiful and functional, the Morris bench is crafted by artisans to serve you well in any room. The bench features a fixed drawer on the left or right side (your choice! ), perfect for gloves in the entryway, remotes in the living room, books in the bedroom…should we go on? 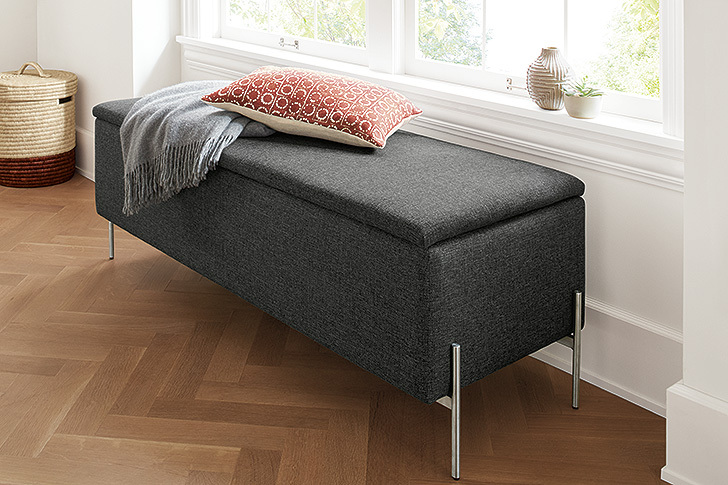 A new addition to our Alden storage collection, the Alden storage bench is a functional statement piece for any room. Sleek steel pulls on the two storage drawers are notched for easy gripping. Mitered corners enhance Alden’s timeless appeal and speak to the time-honored craftsmanship of the piece. Alden is available with or without cushions. 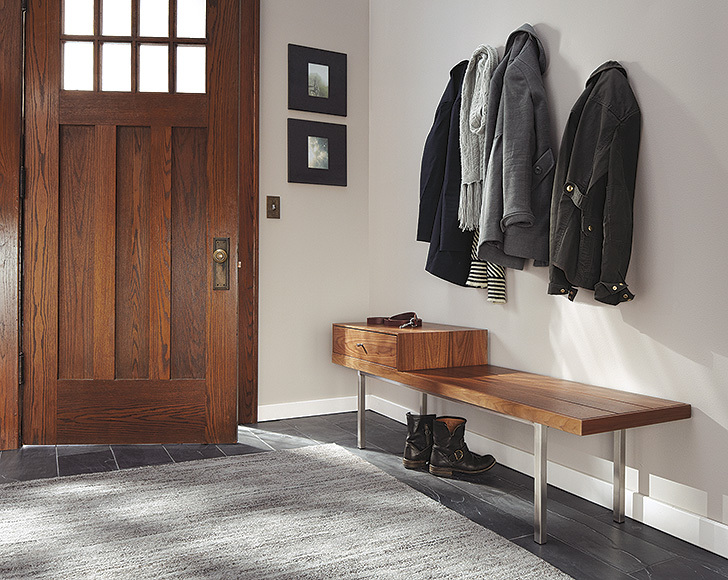 See all Room & Board benches to find the one that best fits your space and style. Helpful information. Fortunate me I found your site by accident, and I am stunned why this accident didn’t took place earlier!